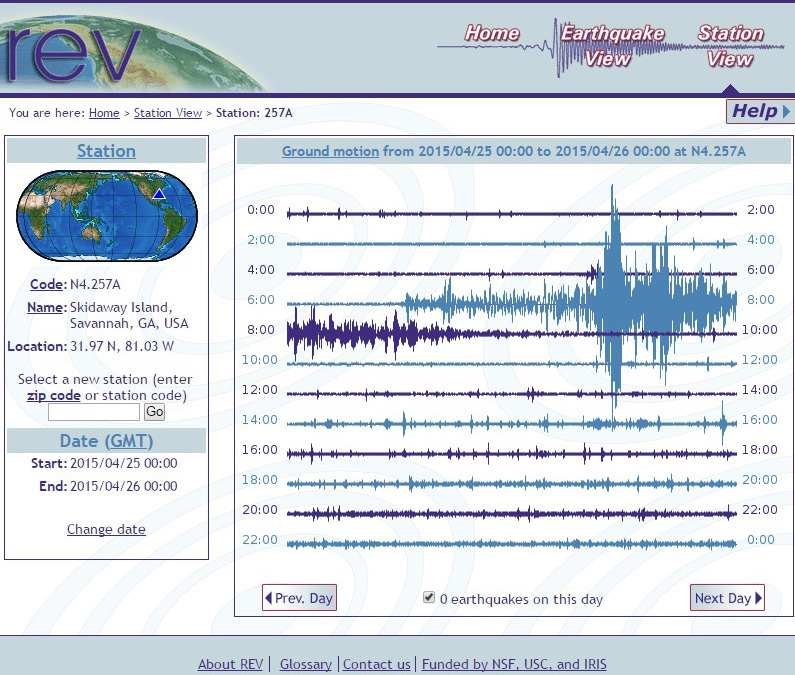 The seismograph planted in the meadow near Groves Creek detected the April 25th earthquake in Nepal. The seismograph was originally part of an NSF funded project of the Incorporated Research Institutions for Seismology. It was one of dozens of transportable arrays that were moved across the country and collecting seismic activity to image the deep earth several years ago. When the project was completed, the Skidaway station was transferred to another project to monitor earthquakes in the US. 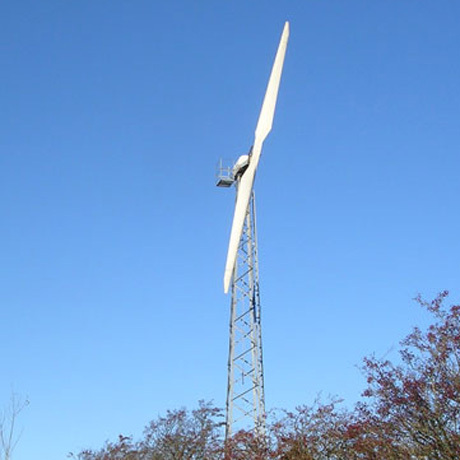 The array is powered by the solar panel that many have seen on the northern end of the Groves Creek meadow. Eli O’Cain is a new grad student in Marc Frischer’s lab. A native of St. Simons Island, Eli received his bachelor’s degree in biology from Georgia Southern University in 2013. After receiving his degree from Georgia Southern, he worked on St. Simons Island as a kayak tour guide for Southeast Adventure Outfitters and on Jekyll Island as an environmental educator at the 4-H Center. 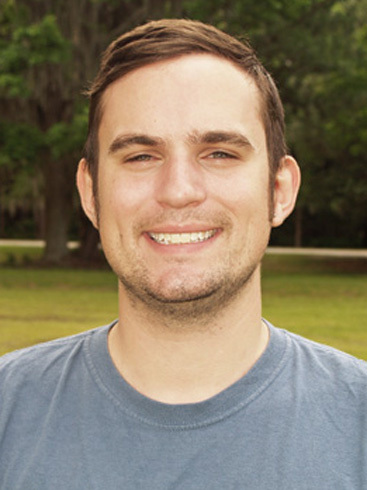 In the fall of 2014, Eli returned to Georgia Southern to pursue his master’s degree in biology. His thesis is studying the role that coral recruitment plays in alternate reef stable states in the Florida Keys. He is working at Skidaway to develop a bioassay that will allow identification of coral recruits to the species level. Thanks to a private gift, visitors to the UGA Marine Extension Service will soon have an outdoor pavilion where they can gather when visiting the Marine Education Center and Aquarium. Springer Mountain Farms and company president Gus Arrendale, a UGA alumnus, made the $25,000 gift that will be used to buy materials for the facility. The Barn Builders, a volunteer group of residents who live near the island, will construct the pavilion free of charge. An artist’s rendering of the pavilion under construction. More than 25,000 people, including school groups, summer campers and tourists, visit the UGA Aquarium each year to learn about the beautiful Georgia coast. The pavilion will provide an outdoor place for visitors to gather rain or shine. 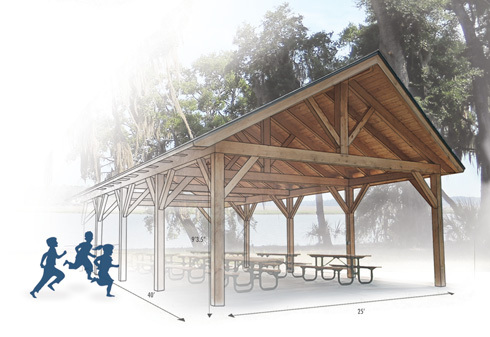 The 1,000-square-feet pavilion will be located near the beginning of the Jay Wolf Nature Trail that runs along the Skidaway River, and will include water, lights, ceiling fans and large sturdy picnic tables that will seat about 50 people. “The pavilion will allow folks to stay on campus just a little longer and will add to the convenience of the site as a field trip destination,” Lindsay said. The Barn Builders have done volunteer work at the UGA Aquarium for about five years, constructing lean-to sheds, fences and gates, shelving, picnic tables, information kiosks and much more. The project should be completed by this fall. Based in Mt Airy, Ga., Springer Mountain Farms is a family owned company that produces chickens raised on a pesticide-free, vegetarian diet without the use of antibiotics, steroids, growth stimulants or hormones. Springer Mountain Farms was the first poultry producer in the world to gain the endorsement of the American Humane Association under its American Human Certified program. Its chickens are supplied to grocery stores, restaurants and chefs across the country and around the world.